Kevin Baker Homes & Real Estate Team, The Woodlands, Spring, Magnolia and greater Houston Texas. Extensive Experience in Real Estate experience Multi-Million Dollar Sales Volume. Russian Language , Spanish Language. Incentives to Veterans (VA), law enforcement, healthcare (nurses, Doctors, technicians), EMS), teachers, firefighters with downpayment and special loan programs. Kevin Baker, of Kevin Baker Homes Real Estate Team , a part of Keller Williams The Woodlands and Magnolia. serves the North Houston Metro area: including Spring, Tomball, Cypress, The Woodlands, Conroe, Houston, Magnolia, Montgomery and surrounding Houston Area. As a professional Real Estate agent and Realtor ® , and owner of Kevin Baker Homes Real Estate Team, Kevin Baker helps anyone with their home buying needs. Included in this are first time home buyers, luxury home buyers, seasoned buyers, clients relocating to the area, sellers that need to list and sell their home, new construction with builders and real estate investors. Kevin and his Kevin Baker Homes team focus on real estate services in the Woodlands, Magnolia, Conroe, Spring, and surrounding Houston areas. Kevin Baker provides personal and individualized attention to make sure your needs are met and in a timely manner. Kevin Baker, a full time professional Real Estate agent who knows the Houston real estate market, with many years of experience. For buyers and sellers, Kevin Baker Homes Team always offers solid negotiation on your behalf and clear communication. Consistently Top Rated Agent, Keller Williams and Houston Association of Realtors Top Producer, Oakland University, Yale University, Top Producer, the source for selling your home and finding homes for sale in The Woodlands TX and North Houston area (Magnolia Spring Conroe Tomball Oak Ridge Montgomery Lake Conroe), Luxury Listings, New Home Construction and Custom Builder Relationships, Residential MLS Listings, Buy Sell or Lease with Kevin Baker Homes! HOME BUYING AND SELLING. MADE EASY. First Class Real Estate Service. Kevin Baker Homes & Real Estate Team - Keller Williams Realty has consistently been awarded top real estate team in the woodlands texas over the years. Clients have spoken and trust their real estate buying and selling needs with Kevin Baker. 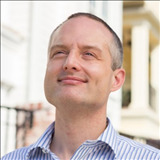 If you are looking for a trusted local real estate professional, please reach out to Kevin. Explore this website for the best deals on homes for sale in the woodlands texas. New homes and the best homes that are great deals and some of the best deals in The Woodlands TX, Properties can be easily searched, the source for homes for sale listed in thewoodlands texas. Kevin Baker Homes & Real Estate Team - Keller Williams Realty is the source for luxury homes in the woodlands texas. Trusted, experienced, knowledgeable and certified in luxury home sales in the woodlands texas. Reach out and contact Kevin Baker realtor for your luxury home buying and selling needs. A professional luxury listing specialist. 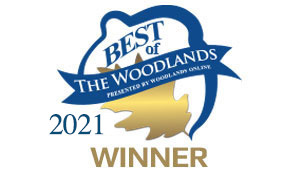 The Woodlands real estate market is unique, it is important to choose a real estate agent and team that has experience and knowledge with the woodlands texas home market. When buying a home you should look to an experienced, trusted and proven realtor such as Kevin Baker of Kevin Baker Real Estate Team. Keller Williams The Woodlands Realty broker has been #1 rated, #1 volume sold, #1 listings sold, #1 buyers side sales and #1 sellers side sales, and #1 local rated real estate brokerage in The Woodlands Texas. Kevin Baker realtor is one of the top realtors at Keller Williams The woodlands and looks forward to being your trusted realtor. Kevin Baker a local real estate agent has been ranked as number one real estate agent and number 1 realtor in the woodlands texas market.